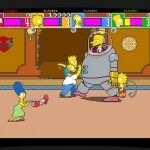 Sony worked closely with Gracie Films and Fox to time the release of the game with the 500th episode of The Simpsons so that fans of the show could experience the classic game during an important milestone for the series. The focus was primarily on making it as faithful support as possible while adding various gameplay modes and bonus content. It was a great collaborative effort with Gracie Films to find a balance between preserving the authenticity of the original arcade game and making just enough tweaks to adapt it for PS3. 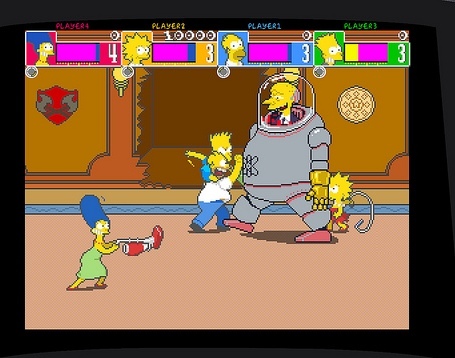 Suggestions from fans from the previous arcade conversions, particularly in respect to including more challenging ways to play these classic arcade games and so it includes several different gameplay modes in The Simpsons Arcade, with a mode for everybody. Freeplay is the usual “unlimited continues” mode found in most arcade-to-console ports. It’s best when you just want to sit back and do a full playthrough without having to worry about getting a game over screen. One of the best parts of Freeplay mode in Simpsons Arcade is being able to scour the levels at your leisure to find the many, many inside jokes placed there by the original programmers in 1991.